You are here: Home : The Cricketers : News : Eggciting news …. our new Specials Menu is out! Eggciting news …. our new Specials Menu is out! 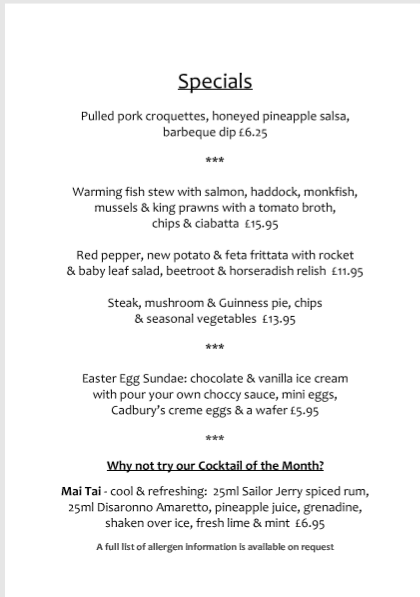 Our new Specials Menu has been released and we’re so unbelievably eggcited to share it with you! The full menu including allergens can be found here.